Do you have teenagers? Maybe even adult children? Do you know someone that does? 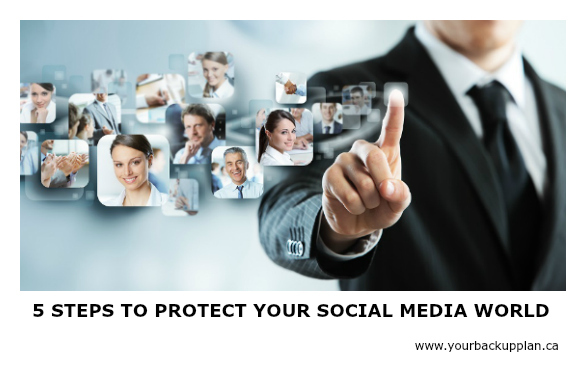 We will need to know these 5 Steps to protect your Social Media World. Because not only are we at risk for not protecting our social platforms, digital assets & property but now so are our kids at risk! WHAT TYPES OF DIGITAL ASSETS IN THIS SOCIAL MEDIA WORLD? Whether young or older, as soon as we have set up accounts we are at risk. Let me explain the risk. When we set up our own private accounts, we have put our loved ones at risk. With more than 1.2 million social media users dying annually, family, friends, social media services and the Internet are left to deal with a deceased user’s digital assets ( or what we call accounts and pages) When we die, who takes control of our social media networks, blogs and websites? How have we done this? When we set up the various digital platforms and accounts we normally don’t share our logins and passwords with anyone. As a matter of fact we, personally also have difficulty keeping track of our accounts just for ourselves. 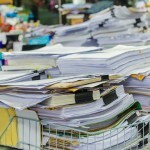 What happens if you don’t keep good records of your digital property? For each of your accounts, libraries, storage and social media platforms – When the Executor of that estate realizes that the person had an account, or any of the digital property – they will need to show proof of death and usually a court order to prove that they can be given access to that account. That will cost money and time to get a court order. Each account or platform will also have other certain requirements and steps that will also be needed at that time to gain access. This may include an application, documentation and a court order from a US court. It is important to deal with these digital assets for various reasons. Preventing identity theft and to ensure that the pages or accounts are not used in any criminal behaviour. Perhaps you may wish to continue the management of the online business or a blog that your family member has. Or they wish that you continue with it. The value of the asset may be significant for a loved one or beneficiary. For example, the asset may have sentimental value such as digital photos, or it may have significant monetary value such as a professional blog or a gambling / gaming account. Now, do you really want to go through all that work and the costs involved? Or do you want others to have to find your digital assets too? The last risk that is involved is a predator hacking into the dormant account, whether that is the facebook/twitter account on a social media platform or a library of purchased music, apps or games or even thousands of dollars of credits that are sitting in dormancy. 1- What would you like done with your accounts once you are gone? List your wishes for each of them. Keep that list up to date. 3- Make a list of all of the social digital platforms you have, including libraries, storage and accounts. Keep them up to date and share the list with someone you trust. 4- Make a list of payments required to keep up your accounts and their payment method. 5- Keep a list of logins of all the accounts, etc. Your Backup Plan App will keep your digital assets organized and updated easily with the use of your smartphone. Speaking with Shannon was intriguing and heavy hearted all at the same time. After Shannon lost her mom in 2014, she then lost her dad from a tragic heart attack in 2015. But, remember Shannon is only a young Mom herself with 2 kids and not quite ready for what is about to happen. She had a totally different perspective on the parent and child relationship. It’s not suppose to happen like this, she had to step up to be the parent in one foul swoop. Things that Shannon struggled with was the emotional stress that she had to have it together, for the little part of the funeral arrangements but more importantly the kids. After the funeral stuff was completed she had to go into over-drive. Going to the house and hoping to find paperwork, and needed answers to whole lot of questions! But, of course that didn’t happen quite like that. After 1 year has gone by, Shannon is still struggling with having to pay her Dad’s mortgage because she couldn’t afford to pay her place as well as his mortgage, so she moved into his place. Her dad’s mortgage stays open, her Dad’s vehicle, his truck and travel trailer sits until probate is completed. So many catches to everything. “I do and I don’t know why this little video had me in tears just now, but the reality is this shock to the system happened twice, back to back and with little to no warning. Tina approached me a while back in hopes of checking in, hearing my story and offering me the security of preventing the same stress and pain from hitting the people that I love. It took me a long time to prepare and tell her I was ready to chat. She was so understanding with me. My generation, and even those 10-15 years older than me have NO idea how long and drawn out this process is. When someone dies or becomes unable to tend to their previous responsabilities, the paperwork seems endless. The errands doubling up with your own – the legalities. You’re going to make mistakes. You’re going to want to crawl into that bunker until the apocalypse passes but you have to be ON, constantly. 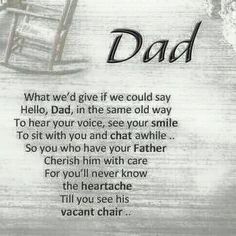 This process of first disability, followed by two deaths was so much more than crying at their bedside as you squeeze their cold hand for the last time and wonder how you’ll go on from that moment. It’s so much more than food at the funeral and standing up to speak on someone’s behalf… no, no. Tina just released her App for smart phones and iphones that will give your Power of attorney or your executor and loved ones everything you could possibly leave behind for them while they grieve. I really encourage everyone to take a look. I’ll post a few links for it today. 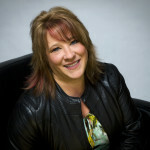 Thank you Tina for the interview and understanding!” , Shannon. I have watched too many families go through the unspeakable trauma of a family emergency or loss of life. Being left to deal with the realities of those moments is overwhelming for most everyone. HOW DOES YOUR BACKUP PLAN APP BACKUP YOUR DETAILS? “Your Backup Plan App is innovative idea that has a lot of real-life value, this app presents a resolution to an issue many people fear might occur. By being prepared for any form of tragedy, the app could be the most important one a person ever installed on their Smartphone.”, says www.Iphone AppsReviewOnline.com. But how does it store your data then? That is a big concern of mine? Sending an email to someone with personal data attached to it or in the body of the email is dangerous. But, I am still finding we are still doing it on a regular basis. But, why is that? Because, I guess we don’t think it will happen to us. But, I need to tell you there is a very big chance that it will when it occurs often, due to the “Number of Occurrences increases your probabilities”. You’ve probably heard this before. But due to the robust App that we have spent hours, days and months developing this is far from insecure! How does it store your data? The App doesn’t store your data. 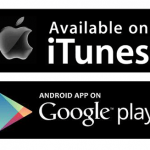 The App is purely your Personal Assistant guiding you with the Map of Directions. The user can complete as many categories as they wish to complete. But, more importantly the Assistant will guide you through your personal life so none of it gets forgotten. When you complete your Personal profile category, you will be asked how you want your data stored. 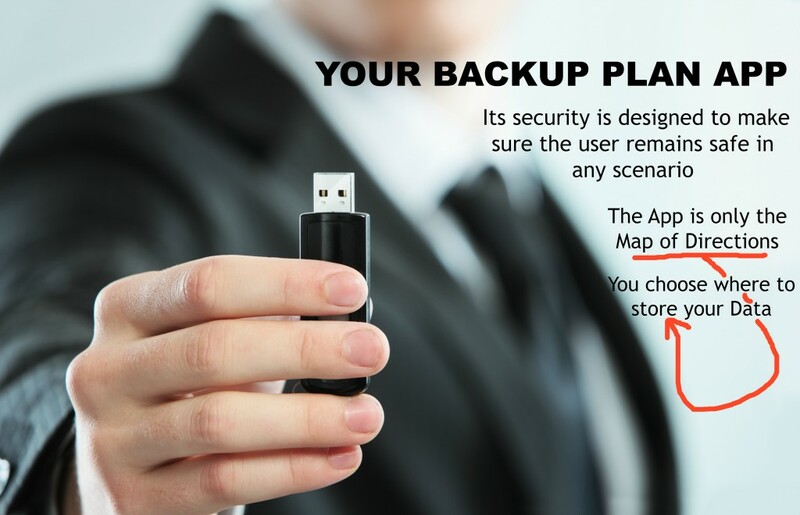 You, the user, will then choose which method to use for your Data backup. “While all of this is great and effective, it is the app’s levels of protection that make it stand out from its competitors. The app is very readable and user-friendly, but it still values the security of its data as paramount. This means that no entry into the app can be compromised by a malicious attack or some other action. Like the entire app, its security is designed to make sure the user remains safe in any scenario,” says www.iphoneappsreviewonline.com. Your Personal assistant will take you by the hand for each of the categories and ask you about your own life’s details. With some of those answers, you will have the opportunity to take a snapshot of the item. Whether it is for your records in your home insurance category, or your even your wishes. In a few cases, the hobby out in the Garage, needed snapshots of the pieces to record their values and the best appraiser. So the spouse left behind didn’t have any worries of trying to find the value of the items, or to be scammed by con-artists. Perhaps, you will keep track of your travel itineraries and travel insurance that you carry on the trips. Location of your Gas and Water shut off Valves, with snapshots. Your Pet’s food, with a snapshot of the bag and prescriptions, medications or their Vet. Or the location of your safety deposit box and a snapshot of it and the documentation that is required so when in time of need, the family member guest user will have a location, and a picture already in their mind of what they are looking for. Perhaps, in the Medical category you will add snapshots of your prescriptions or treatments. “A picture is definitely worth a thousand words”! Your family or executor will need to know about your Employer’s information, or where your keys are. The information asked is not all identity related. In some cases with account information etc. you can record the important elements or simply take snapshots. It’s your choice. I would say, the majority of your information is already online. Billing is becoming obsolete and becoming available only through online accounts. So, let me ask you this. How does your family member or friend find out about your Hydro or gas account if the billing is not coming by mail anymore? If they can’t access your account or access your email or even get onto your computer. So many of these monthly billings are becoming more troublesome to access, to pay and to find. In most cases, a Lawyer will need to contact the billing company to have the privacy released on that person’s account before releasing the information. More costs building up. With other accounts, you will need to have a court order to access the deceased’s account. Wouldn’t it be better for you to give the Map of Directions to your family member to ensure it gets removed, cancelled, deleted or even when there is money involved, found and not left for others? 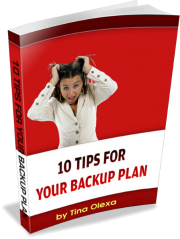 Your Backup Plan will guide you the process and help you with that. WHY DON’T WE WANT TO TALK ABOUT DEATH?